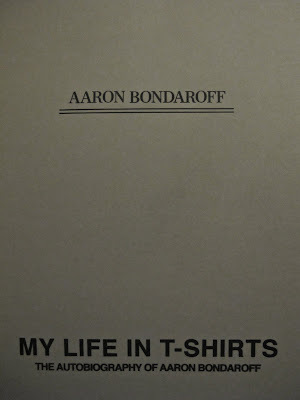 I have just finished reading the Autobiography of Aaron Bondaroff, it was originally hand-screened by himself onto 100 white t-shirts to form the exhibition 'My Life In T-Shirts'. 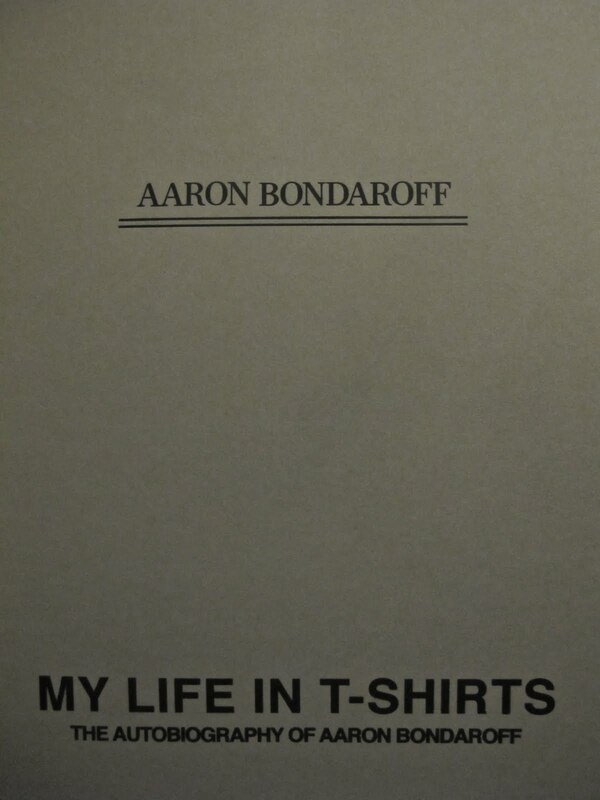 Later photographs of all the t-shirts are taken and made into 1000 copies of his book. Below being one of them, leant to me by CDA. A-ron as he is best known is hailed as a sort of underground cultural genius also for his super rep, input in the infamous 'Supreme' brand and also founder of the 'aNYthing' brand. Its a great read of downtown living in NYC.